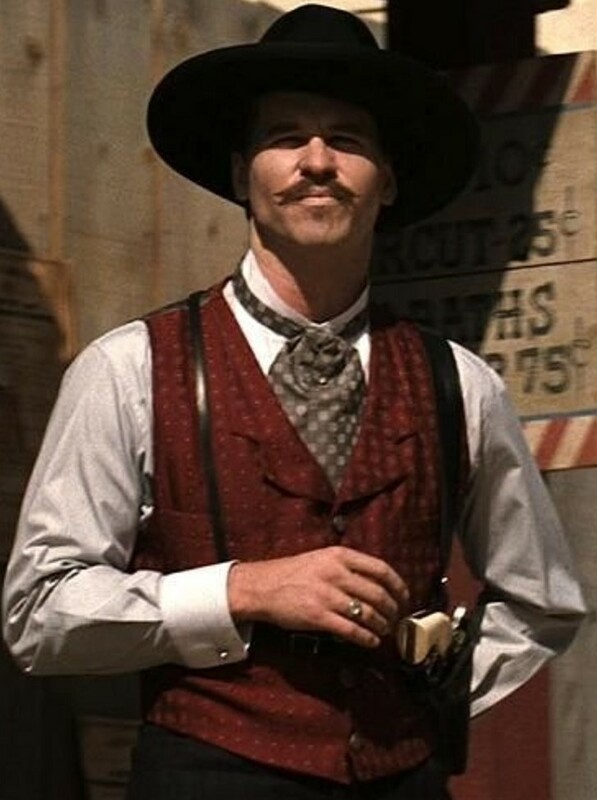 As History.com notes, on this day in 1879 legendary gunman Doc Holliday killed his first man. Doc Holliday killed commits his first murder, killing a man for shooting up his New Mexico saloon. 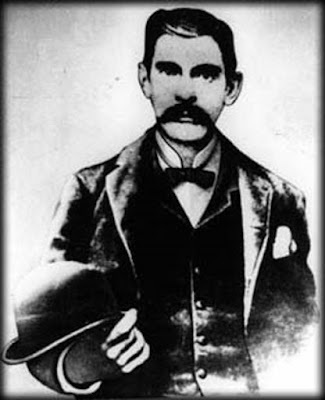 Despite his formidable reputation as a deadly gunslinger, Doc Holliday only engaged in eight shootouts during his life, and it has only been verified that he killed two men. Still, the smartly dressed ex-dentist from Atlanta had a remarkably fearless attitude toward death and danger, perhaps because he was slowly dying from tuberculosis. Note: Above is a photo of actor Val Kilmer as Doc Holliday in one of my favorite films Tombstone.